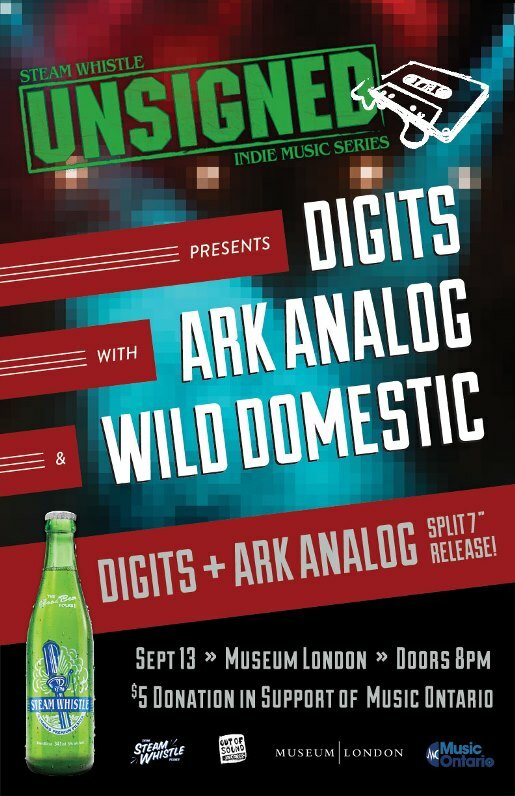 Steam Whistle is hosting the first-ever UNSIGNED London – a concert in support of Canadian independent music artists. The Unsigned series started in Toronto five years ago, soon making its way to Vancouver, Calgary and Edmonton, with the idea of giving back and helping the growth of Canada’s indie music community. In the last 5 years, the project has raised over $70 000 for artists. 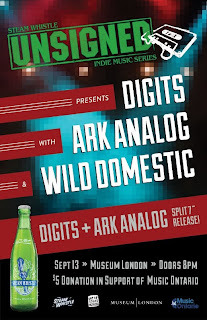 Friday September 13 2013 is the first time that a series concert will be taking place in London at Museum London featuring Digits, Ark Analog, and Wild Domestic. Doors open at 8:00pm and tickets are only $5 at the door with 100% of proceeds going back to the community through Music Ontario.